Founded in 1903 in Nuits-Saint-Georges, the estate was born of the union of two men: Alexander de Mayol de Lupé and Felix de Cholet. Owner of nearly 25 hectares of vines in Chablis and Côte d'Or, Domaine Lupé-Cholet has developed a system of partnerships with several winegrowers throughout the great Burgundy region in order to buy grapes. 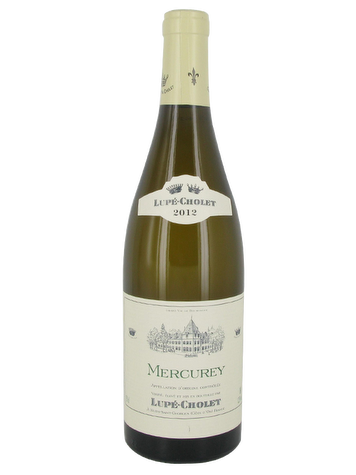 Terroir: In the heart of the Côte Chalonnaise, around the village of Mercurey. Calcareous brown soils on marly soil of the Oxfordian. Vinification: The grapes are harvested manually. Gentle and selective pressing of the grappes is realised. The must is then put in oak barrels whose origin and age are adapted to the needs of the vintage. The alcoholic fermentation takes place for several weeks. The wine is then traditionally aged for 6 to 12 months. Before bottling, a light filtration completes its breeding without breaking the harmony and the evolution potential acquired.